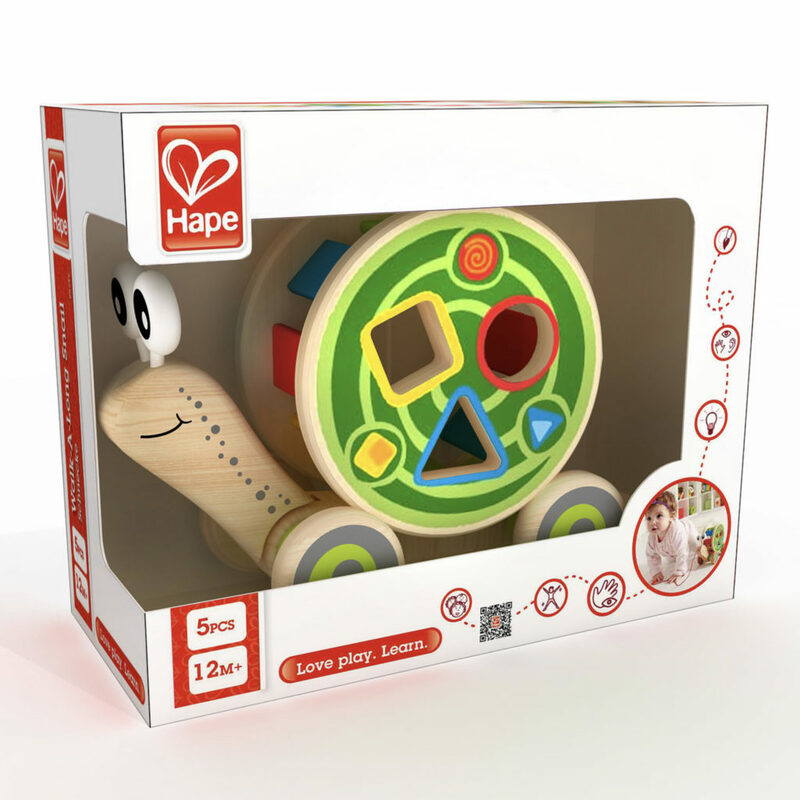 This delightful Walk-A-Long Snail from Hape is in fact two toys in one. 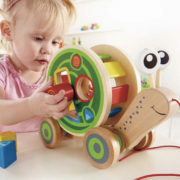 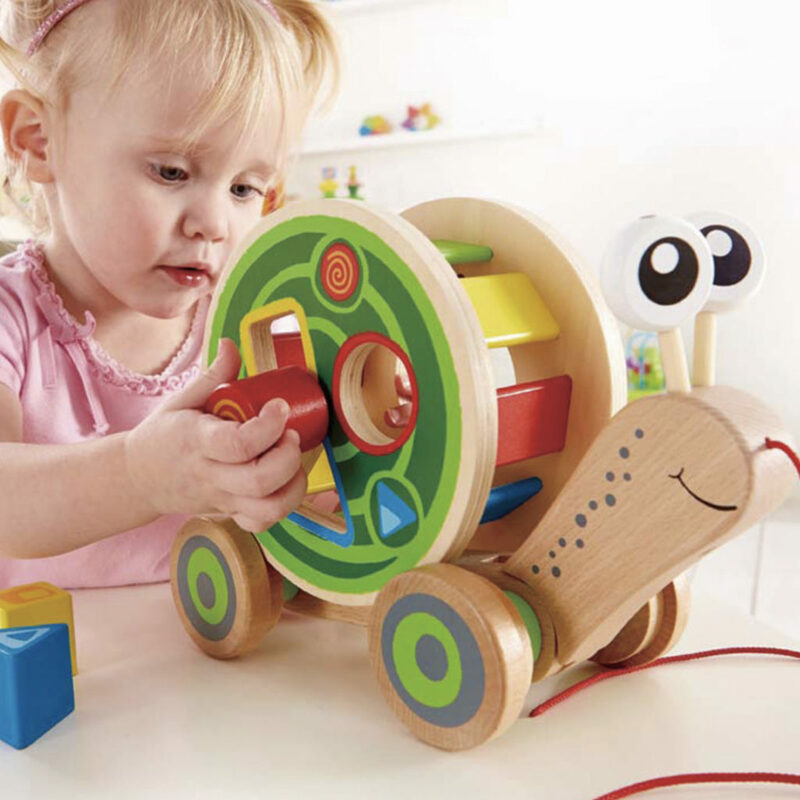 A wooden pull along with large wobbly eyes, a friendly face, and emovable shape sorting drum that spins on the snail’s back when pulled along. 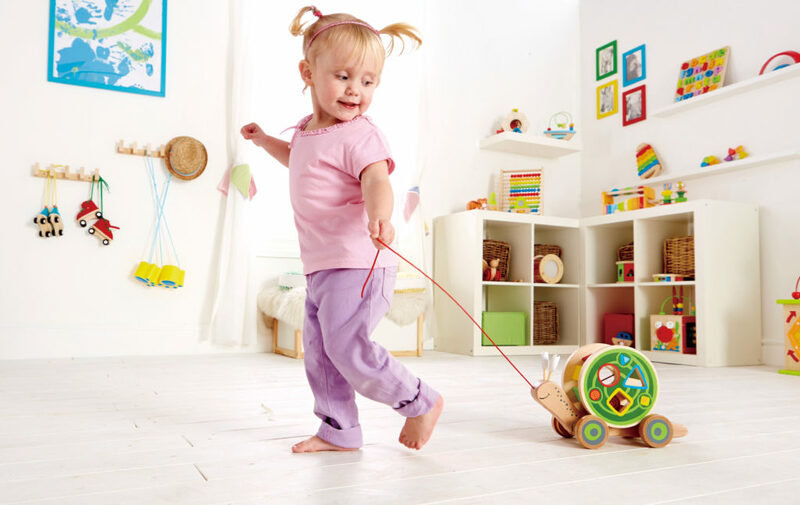 This versatile pull along has four wheels plus a bright red cord, making it easy for little ones to pull along behind them. Remove the snail’s shell and you have a colourful shape sorter. 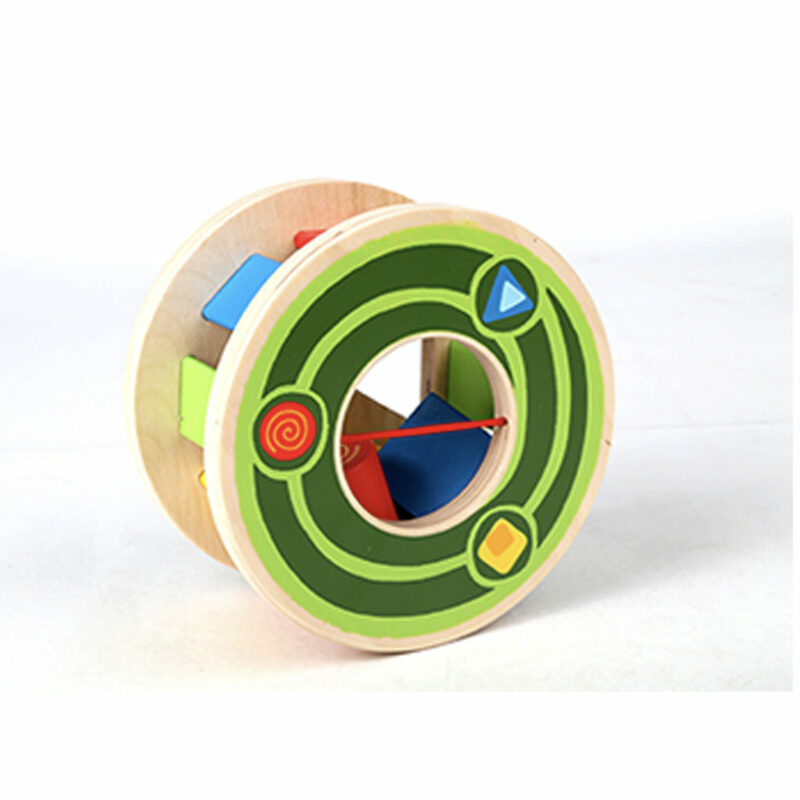 Toddlers will love discovering which of the 3 wooden shapes fits into the different shaped holes. 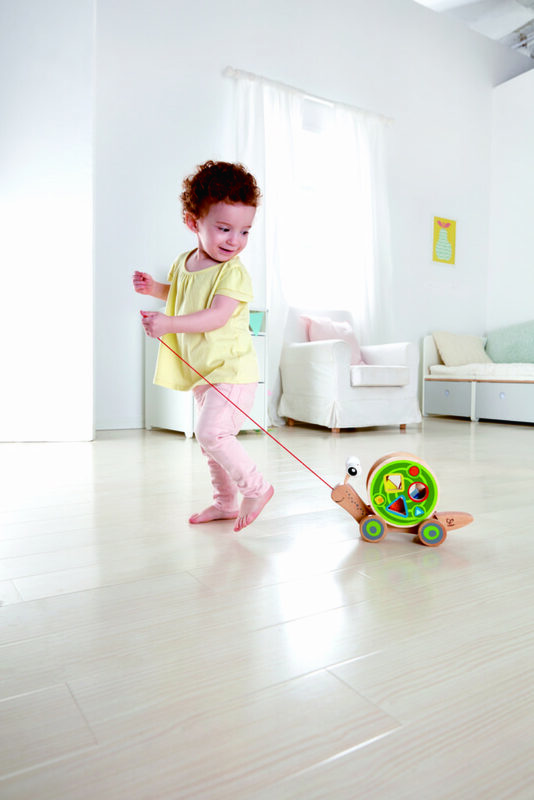 This sturdy wooden drum can also be used as a rolling toy. 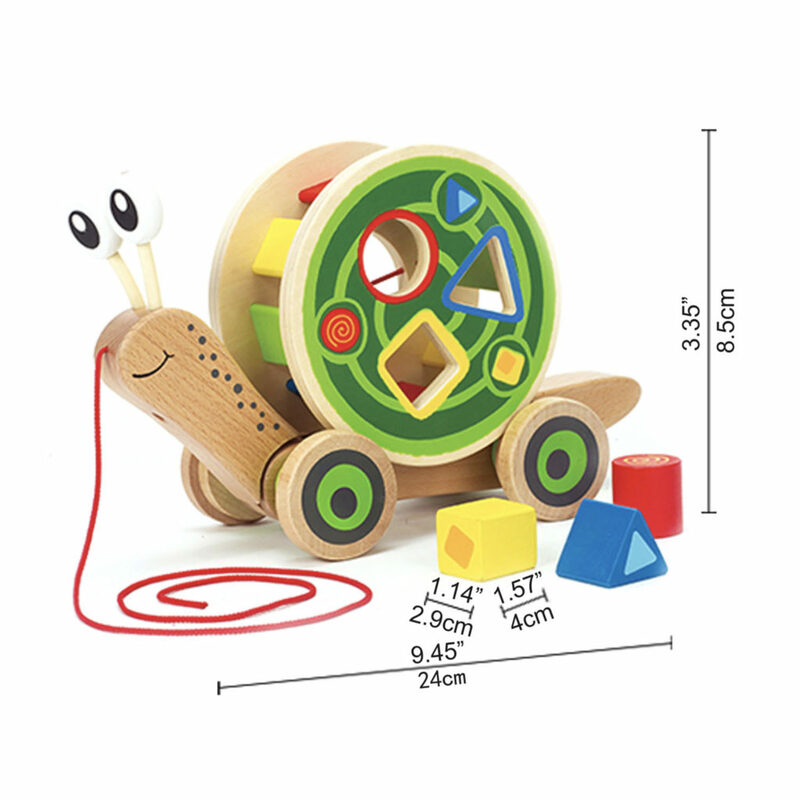 This delightful Walk-A-Long Snail from Hape is in fact two toys in one. 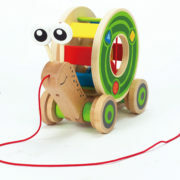 A wooden pull along with large wobbly eyes, a friendly face, and emovable shape sorting drum that spins on the snail’s back when pulled along. 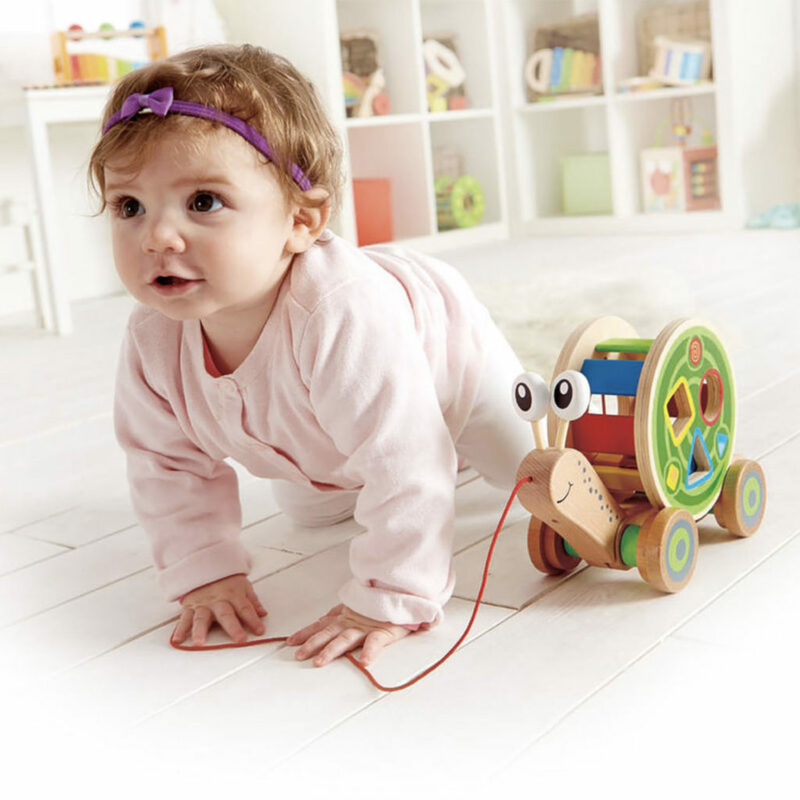 This versatile pull along has four wheels plus a bright red cord, making it easy for little ones to pull along behind them. 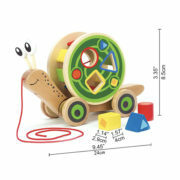 Remove the snail’s shell and you have a colourful shape sorter. 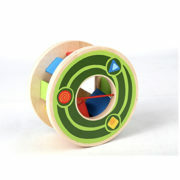 Toddlers will love discovering which of the 3 wooden shapes fits into the different shaped holes. 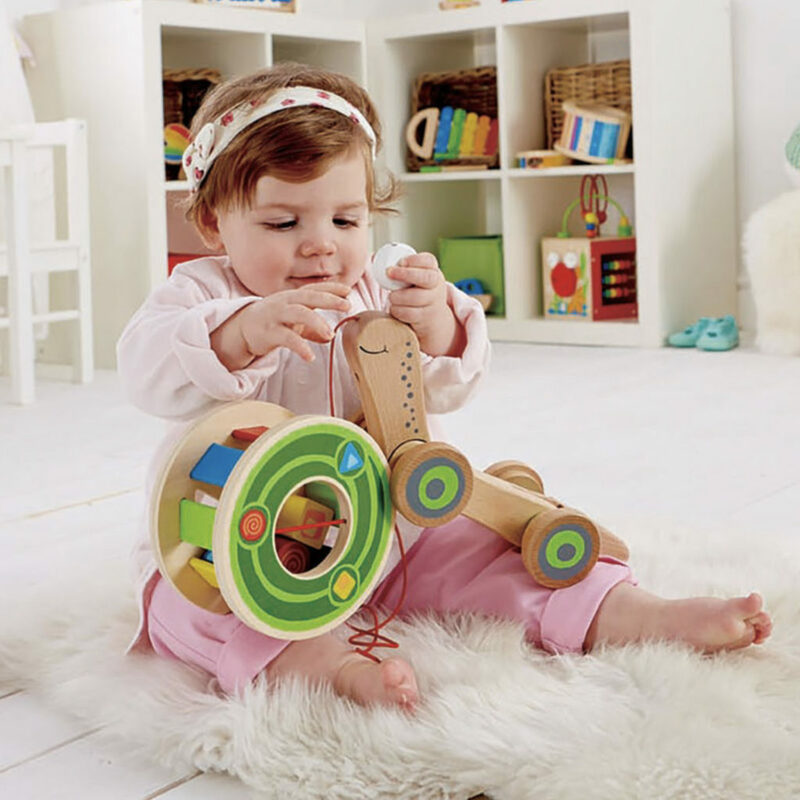 This sturdy wooden drum can also be used as a rolling toy. 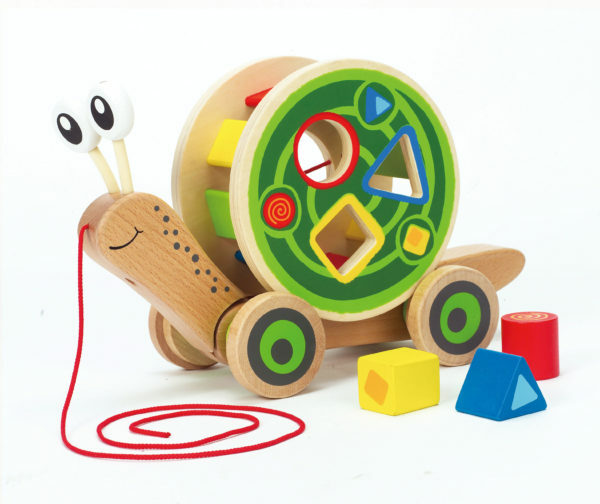 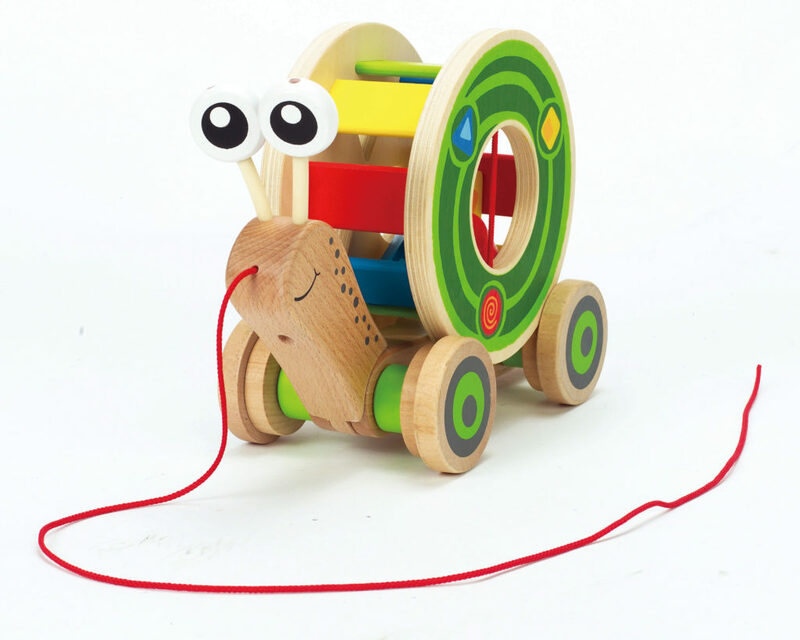 Made from sustainable materials and finished in non-toxic, child safe colours, this delightful wooden toy encourage toddlers to take those tentative first steps, develop colour and shape recognition, fine motor skills, and good hand-eye co-ordination.